This feature allows you to fill out biographies for each author. Then when you tag that author in the "Authors" box on the right (near the tags/categories boxes) in a new book review, their bio will automatically be displayed at the end of the post. 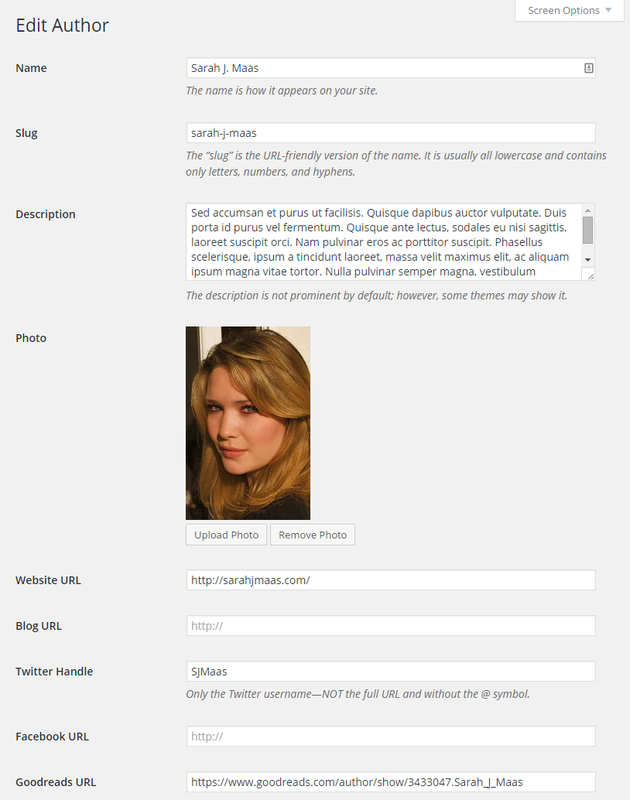 In order for the biography to be displayed, you must tag the author in the post (in the "Authors" box near Categories and Tags), and you must fill out their biography. The About the Author settings are located in Ultimate BB » About the Author. The settings are primarily related to styling the About the Author box, but there's also one key setting for: Display Automatically. This controls whether or not the box is automatically added to the end of your post. 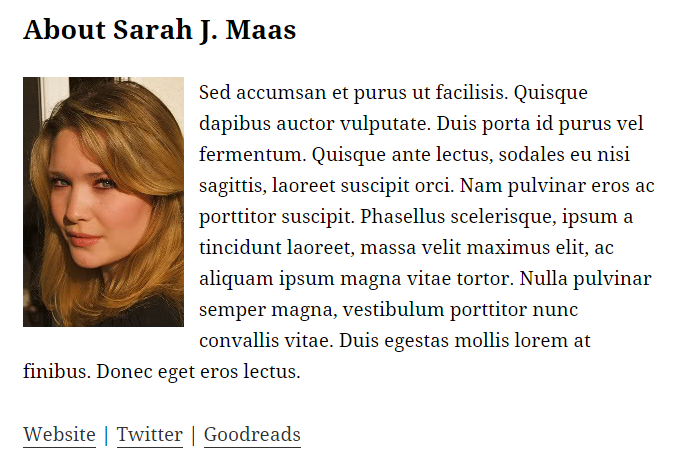 To create an author profile, go to Posts » Authors. You can enter in a new author's name on the left. At minimum, you must fill out their "Name" and "Description" (bio). The other fields are optional, but recommended. Once you've filled out their bio and clicked "Add New Author", create a new book review (or edit an existing one). 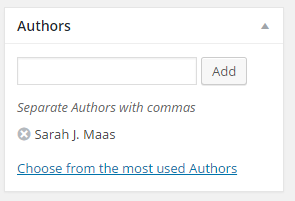 Enter this new author's name in the "Author" box on the right-hand side. You have now tagged this post with the new author you created. Preview the post to see the profile automatically added to the post!